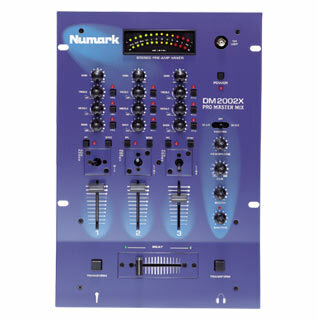 Description: Numark Blue Dog. 2 phono, 2 line, 1 mic input. Compact design, slider cueing, replaceable crossfader.